THE LILLY PAD NEVER LOOKED LIKE THIS! 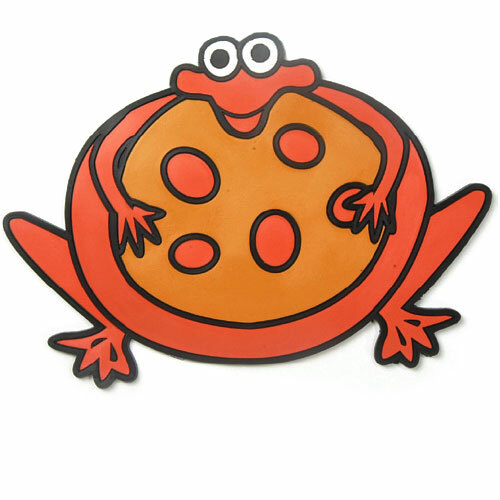 These colorful and personable frogs will add humor and fun to your classes. Using this set of durable spots can enhance all of your motor skill development activities. Frogs measure approximately 11"H x 15"W x 1/4" thick. Each set includes 1 of each color: Blue, Green, Orange, Purple, Red and Yellow. Set of 6.